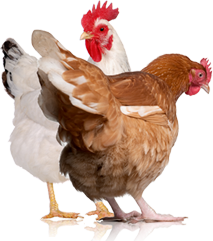 there are many people like us: former vegetarians who converted back to eating meat after finding trustworthy sources, where the animals are raised well. If bacon’s what you’ve been missing all those years as a vegetarian, by all means, start your meat-cooking adventures there. “Bacon is the gateway meat,” Beth Osmund says to us with a smile. She and her family run Cedar Valley Sustainable Farm in Ottawa, Ill., raising a variety of meat that they sell at Chicago-area farmers’ markets and through a meat community-supported-agriculture operation. The grin came from the knowledge that there are many people like us: former vegetarians who converted back to eating meat after finding trustworthy sources, where the animals are raised well. “Bacon seems to always be the main thing folks miss when not eating meat,” Osmund says. We, like others, dropped meat—not because we didn’t like the flavor of bacon or BBQ chicken on the grill but because we increasingly lost confidence in knowing where our meat came from. Not wanting to support factory farms and confined animal feeding operations (CAFOs) and having the ability to raise livestock ourselves, we simply stopped eating all meat for more than a decade, until we started personally connecting more with farmers raising meat. We saw how farmers, like the Osmunds, gave their animals access to pasture and sunlight and treated them in a humane manner. That left a strong impression on us, and we started thinking that the occasional hamburger from a local farmer on the grill was better on the local and sustainability front than a packaged and processed veggie burger shipped in from across the country. 1. 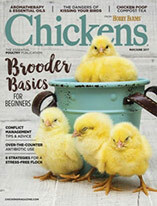 Learn how to break down a chicken. “Cutting up a chicken is not rocket science,” Osmund says. 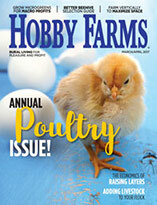 “Get a good pair of kitchen shears, and watch any of the many videos online for the basic steps.” (Or order the November/December 2011 issue of Hobby Farm Home, and flip to the article on page 32.) Learning to cut up a chicken not only saves a ton of money, you get to experiment in ways to cook parts other than just the easy breasts. 2. Use a meat thermometer. Even Osmund needs to check her trusted Betty Crocker classic cookbook on what temperature pork chops need to be cooked to. “A basic meat thermometer costs under $20 and will go a long way in making sure your food is cooked properly and safe,” Osmund advises. 4. Start with what you like. When starting to cook meat, focus first on what it is you like to eat and then think about advancing to giblets after that. Back to bacon: If that’s what you like, by all means, start there. “Bacon is just so darn good, it makes everything taste better,” Osmund says.